The latest Ceylinco Life ‘Green Branch’ is to be built in Divulapitiya on land owned by the Company, at No. 131, Mirigama Road, Divulapitiya. The purpose-designed two storey building offering 5500 square feet of office space will be powered entirely by a 20kW solar power system, resulting in zero consumption of electricity from the national grid, and will have its own rainwater harvesting facility and its own waste water recycling plant, in keeping with Ceylinco Life’s commitment to the environment. 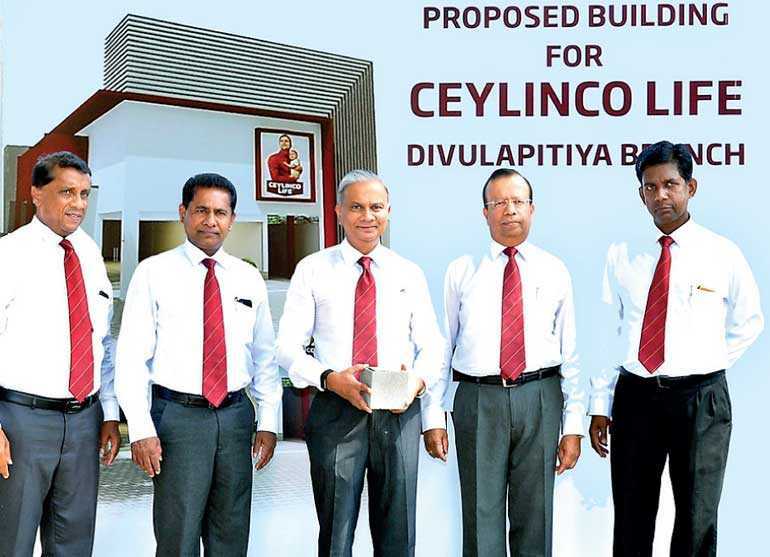 The foundation stone for the new building was laid by Ceylinco Life Managing Director/CEO Thushara Ranasinghe accompanied by other directors.